Previous post"All the world is birthday cake, so take a piece, but not too much." 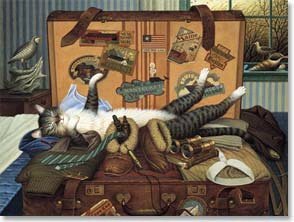 Have a fabulous (and safe) trip, Dawn… filled with refreshment & renewal… and come back with all kinds of stories for your blog.So, I leave you with this inspirational saying by Earl MacRauch: “Remember, wherever you go, there you are.”Ha! And you thought it would be inspiring. 😉You will be missed! Yeah, I’m going to miss my most devout reader :(:(:(:(:(:(:(:(…..what am I going to do without you for the next 2/3 months???? Hmmm…am I sounding like your bf/hubby ;);)?? Lol…:):):)….Have a nice time. So sweet of u Dave 😀 …your comments inspire me …so there u go..:) and yes…I will be blogging from there…only am not sure of is if I would be so frequent but…am so looking forward for stories 😀Thanks Dave..we will be in touch blogging 🙂kl: aaah u make me emotional..n senti …but am gonna spend time whenever am on net…reading the blogs and of course stories for my blog too 😉 U will visit me ..won’t u?thnx love ! Hi Dawn — I don’t know when you’ll be reading this, but I just noticed your main statement about yourself (about living from the inside out, etc. ), and since it fits PERFECTLY with my blog entry for yesterday (June 4), I added your quote and included a hyperlink back to your blog. I hope you don’t mind! (If you want me to remove the link or quote, just let me know.) I hope you’re having a great time away!! !